Adventure Learning Center and Camp (ALC Bahamas) is a place for students and families in Nassau, Bahamas, to come and engage in a camp experience. The camp and center have a petting zoo and other attractions appealing to young children and families. They offer after school programming as well as traditional sleep away camp experiences. ALC Bahamas wanted to refresh an outdated logo for new materials while still being able to use old signage while transitioning. The logo has been simplified and is usable for a larger variety of materials, from donor outreach to event branding for children. 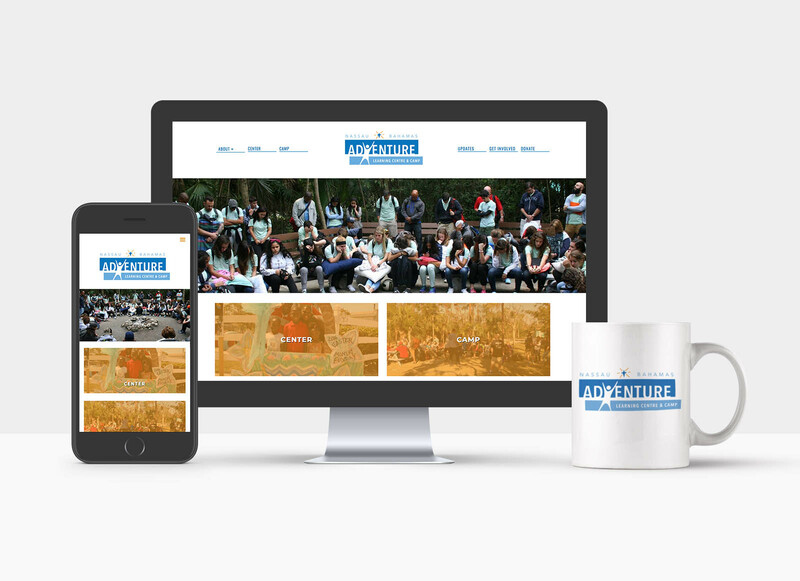 In addition to the revised logo, ALC Bahamas needed a new website that worked for both their camp functions as well a space for their community events run through the center. The new website features both aspects of the organization and has a blog function running on WordPress CMS, so the staff can easily add content to without prior web editing experience.